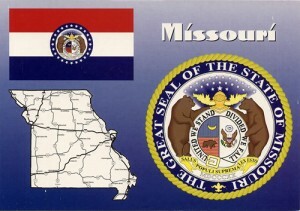 The respected travel planning website VacationFun.com, reports that Missouri is the No. 3 ranked state for requests for tourist information during the first 6 months of 2008. In their rankings for individual destinations, Branson ranked No. 1 in the nation for the same period. Missouri Division of Tourism figures show that, to date, traffic at the state’s numerous Missouri Welcome Centers matches the 2007 figures. They also cite that the flooding conditions have not had a significant impact on travel. The Travel Industry Association (TIA) Survey released in May 2008 shows that in response to higher gas prices, the greatest percentage of travelers plan to drive shorter distances to vacation destinations. Missouri draws heavily from its adjacent states- Illinois, Kansas, Iowa, Oklahoma and Arkansas. Strategic Marketing and Research, Inc., of Carmel, Indiana, states that that Missouri’s “Close to Home. Far From Ordinary.” advertising campaign hits home with likely travelers. They say that 27+ % of survey respondents state that they are “very likely” to travel to Missouri, up from the nearly 21% for the same time period in 2007. When you look at the arithmetic, it all adds up that travel and tourism in Branson and the State of Missouri are faring well in these tough times. We Like Spiders & Snakes! Branson Tourist © 2019 is brought to you by Branson Tourism Center.